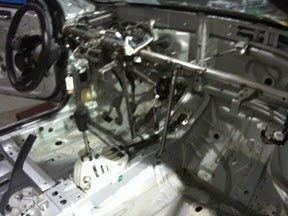 Sunday was day 3 of the World Challenge Touring Car Preparation for the Scion tC. Cutting brackets, removing the body harness to simplify it. Today Monday, its going to the shop to get the roll cage. Wiring harness removed to simplify. 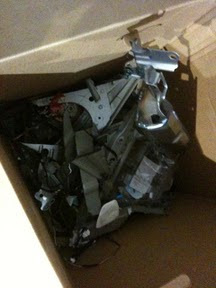 The box of removed brackets and wiring so far.